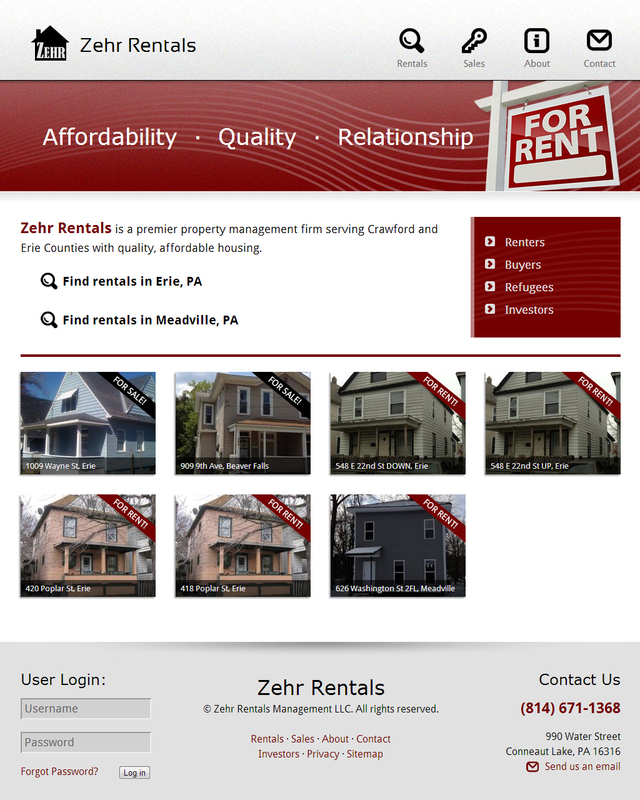 Geryll and Lawrence of Zehr Rentals were looking for a site to showcase their rental business for potential renters and investors. They wanted to maintain the status of their 80-or-so listed properties themselves. I designed the site with Drupal with an optional investors-only section that they can develop as needed.